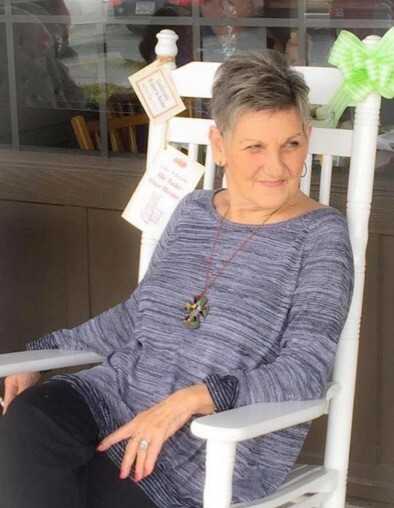 Gwen Watkins Ivey, 70, of Calhoun died at her home on Sunday, March 17, 2019, following several months of declining health. Gwen was born in Commerce, Georgia on June 28, 1948. She was the daughter of the late Charlie and Hular Baker Watkins. Along with her parents, she was preceded in death by her granddaughter, Brandi Rogers; her brothers, Paris, Roy, and Hovie Watkins. Gwen was a pet groomer for many years. People were drawn to Gwen for her wisdom and advice. Gwen is survived by her husband, Ralph Dennis Ivey; her son and daughter-in-law, Justin H. and Jamie H. Ivey; her daughters and sons-in-law, Amy Marie Ivey, Kimberly I. and Ronnie J. Rogers, Kelly D. Barb, and Dana I. and Tony L. McCaslin; her grandchildren, Emily (Jimmy) Reece, Kaleigh Hendrix, Zeke Barb, Shelby McCaslin, and Jayden Ivey; her great-grandchildren, Skyler Woodward, Addy Reece, Cati-Beth Edwards, Lane Reece, Ryker Edwards, and Oak Hendrix; her brother and sister-in-law, Harold Watkins and Barbara; her sister, Barbara (Al) Purcell; her close friends, Cindy Clines and Marie Burnette; other relatives and friends. To honor her wishes, Gwen’s body was cremated. The family will have a visitation on Wednesday, March 20, 2019 from 4:00 until 8:00 p.m. at Max Brannon and Sons Funeral Home. Friends may sign the online guest register at www.maxbrannonandsons.com. Arrangements are under the care and direction of Max Brannon and Sons Funeral Home of Calhoun.